An elegant way to show you care, this bit of bliss blends luxurious roses with wondrous white lilies into a stunning floral sculpture.Flowers are subject to seasonal availability. 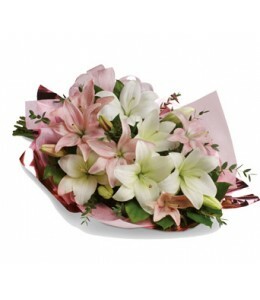 In the event that an..
An all-time divine favourite bouquet showcases a combination of long lasting coloured lilies.Flowers are subject to seasonal availability. In the event that any of the flowers are unavailable, the flo.. 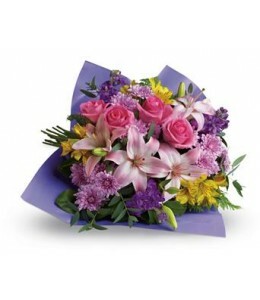 Contemporary yet classic, this bouquet includes an elegant mix of roses, lilies and alstroemeria.Flowers are subject to seasonal availability. In the event that any of the flowers are unavailable, the.. Stunning in its simplicity, this innocent harmony of light pink and snow white lilies are a heartfelt way to send your very best.Flowers are subject to seasonal availability. In the event that any of .. 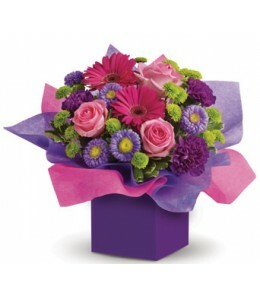 If someone you know loves the colours pink and purple, this box arrangement will create a sensation! 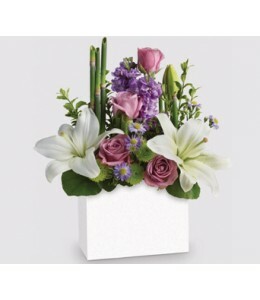 A flower arrangement designed to create instant happiness.Flowers are subject to seasonal availabil.. This is a beautiful arrangement with a touch of something different. 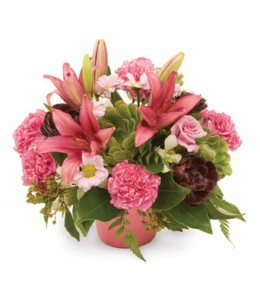 Modern favourite pot of Lillies, Chrysanthemums, Carnations and succulents (if available). 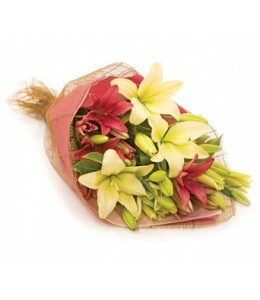 Gift for any event in reusable flower po.. Youthful. Graceful. Beautiful. Whether you want this gorgeous pink vase arrangement to say "Happy Anniversary" or "Happy Any Day", you can be sure the day it arrives will be brighter for anyone lucky ..
Give the gift of pure bliss! 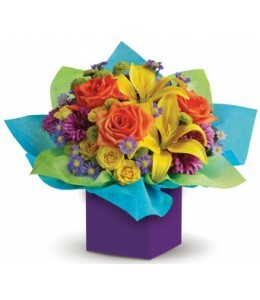 Lush, lavish and luxurious, this beautiful bouquet of roses, gerberas, stock and carnations in a vase is an instant mood enhancer.Flowers are subject to seasonal availabil..
All the colours of the rainbow are present in this fabulous box arrangement. It’s so bright, so brilliant and so unique, it will put anyone in the mood for celebrating!Flowers are subject to seasonal ..